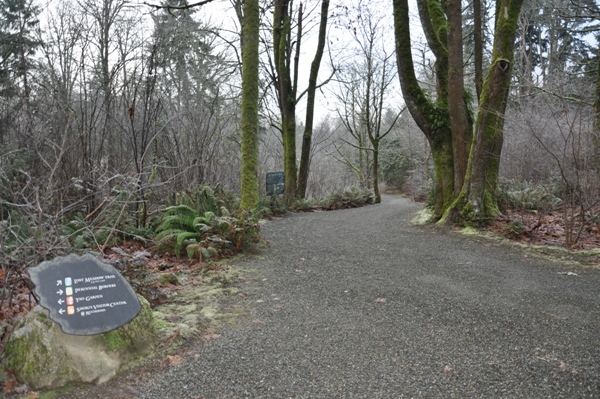 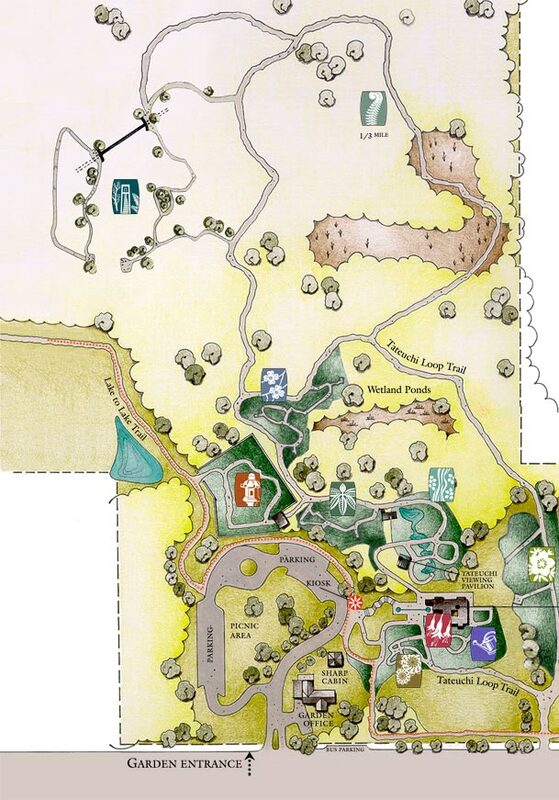 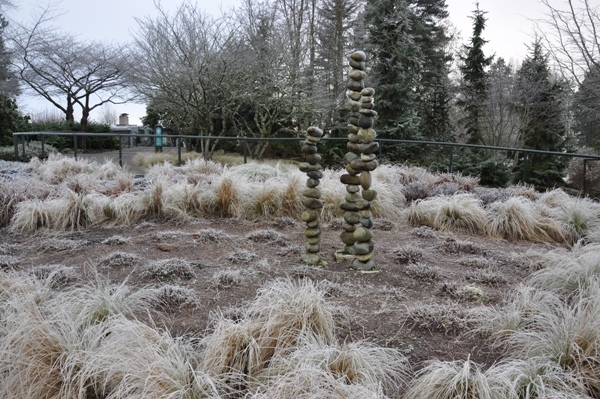 The Bellevue Botanical Garden encompasses 53-acres of cultivated gardens, restored woodlands, and natural wetlands. 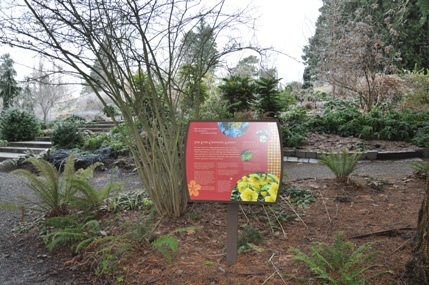 The living collections showcase plants that thrive in the Pacific Northwest. 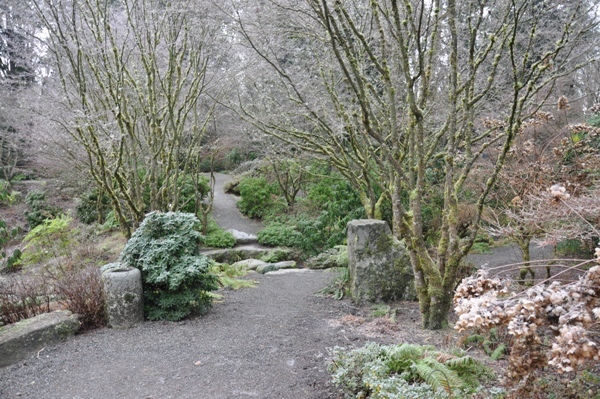 The garden area includes display gardens, woodlands, meadows and wetlands. 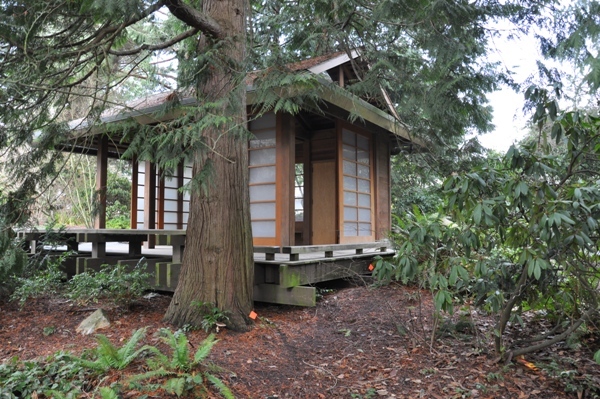 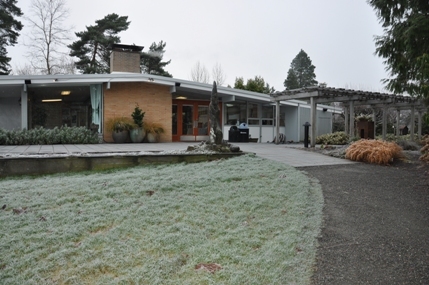 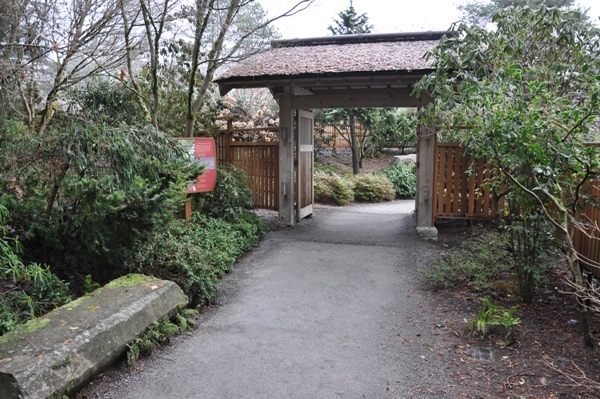 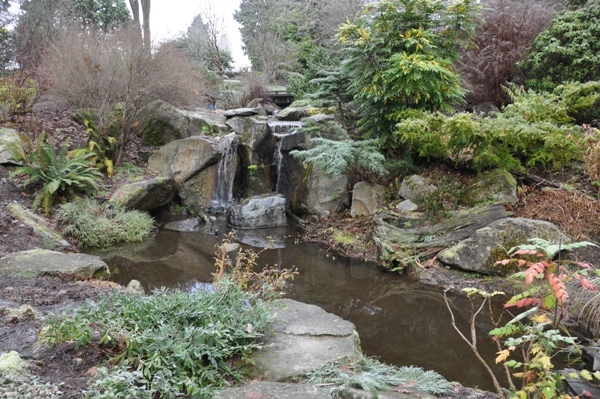 Its specific collections include: an alpine rock garden, dahlia garden, entrance garden, fuchsia garden, ground cover garden, Lost Meadow Trail (with western redcedar, Douglas-fir, bigleaf maple and vine maple, plus native shrubs), native discovery garden, perennial border, water-wise garden, and the Yao garden (a Japanese-style stroll garden with maples, viburnums, hydrangeas, etc.) 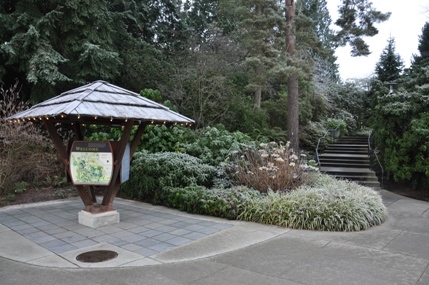 A popular event at the garden each year is the holiday light festival Garden d'Lights where numerous three-dimensional plant and animal sculptures made from bundled Christmas lights are on display in numerous nature-themed scenes through the garden. 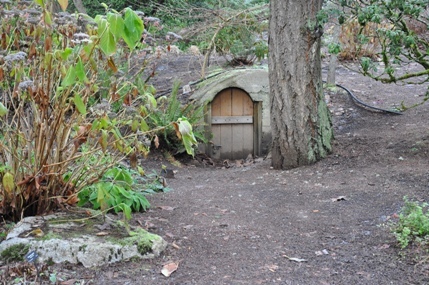 Hundreds of volunteers work to help make the show happen each year. 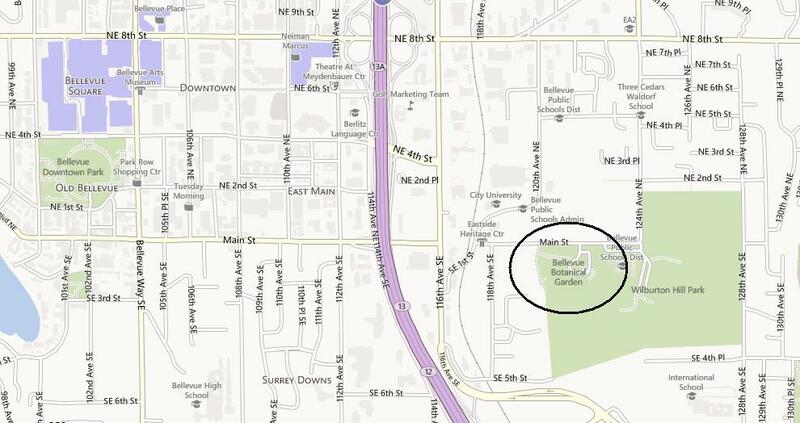 Admission is free, however, donations are encouraged. 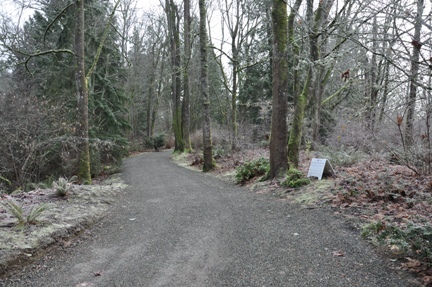 The event runs from the first Saturday after Thanksgiving through New Year's Eve. 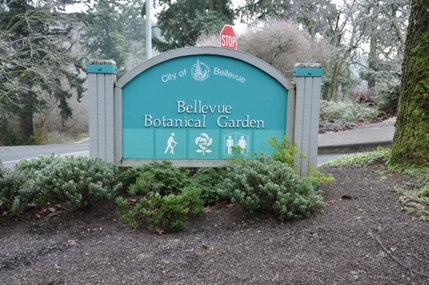 The Bellevue Botanical Garden is free the rest of the year as well, allowing thousands of visitors an opportunity to enjoy this nearby treasure, during all the seasons of the year. 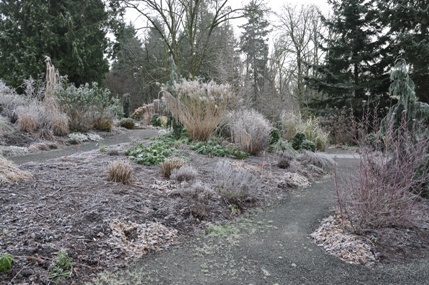 The Garden is open daily from dawn to dusk and the Visitor Center is usually open 9am to 4pm. 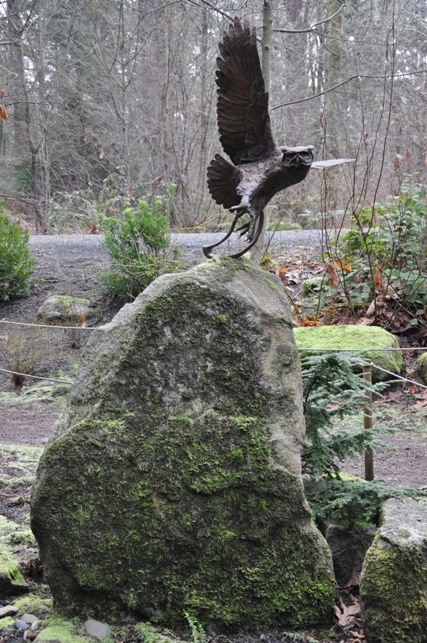 During summer tours are often offered daily.